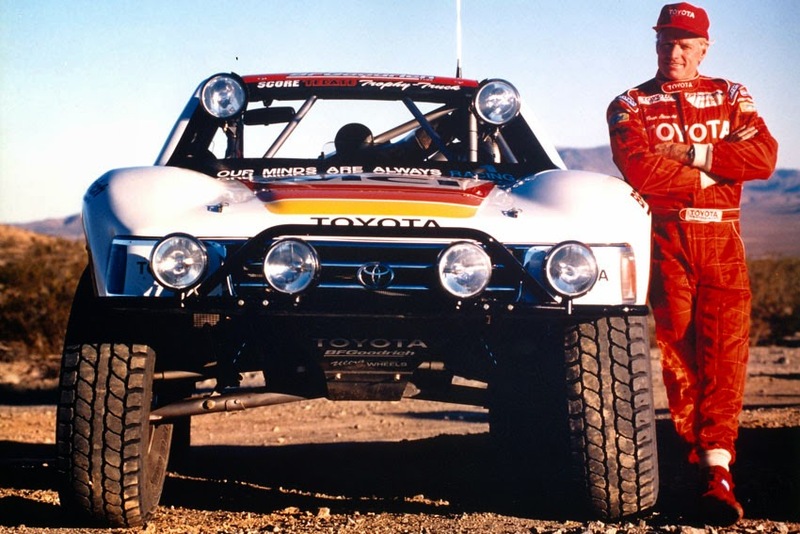 Their 'minds are always racing' In their 35 year existence, Toyota Racing Development - USA (TRD) has lived by their mission 'to deliver an authentic high-performance experience by adding value to create passion and enthusiasm'. TRD has been an integral component in Toyota's success in the US, not only in numerous motorsports racing victories, but in the area of high quality performance parts and accessories. TRD has continually provided Toyota's car and truck customers with high quality performance parts, enabling countless enthusiasts the opportunity to seek the ultimate in on- and off-road performance. The success of TRD, in professional racing and the creation of retail performance parts, can be attributed to constantly keeping their focus on 'Authentic Performance'. This attitude helps prevent the TRD team from drifting into an area of 'appearance without substance'. This focus over 35 years has led TRD to numerous Toyota motorsports victories in an array of racing series' including Indy Car, USAC, desert off-road, NASCAR (Camping World Truck, Nationwide, and Sprint Cup) and IMSA and Grand Am sports car racing. The same focus has earned TRD the reputation of one of the leading developers of motorsport-derived retail performance accessories, including wheels, exhausts, suspension parts, brakes, superchargers, body kits and much more for Toyota, Lexus and Scion cars, trucks and Sport Utility Vehicles (SUV). Coinciding with their 35th anniversary of business in the US, TRD has developed the new TRD Pro Series off-road performance accessories. The new factory-installed off-road performance packages will specially modify Toyota body-on-frame trucks for the 2015 model year including the Tundra and Tacoma pickups and the 4Runner mid-size sport utility vehicle (SUV). The TRD Pro Series is the latest, but certainly not the last, performance-driven accessories package developed from the racing minds at TRD. Just as TRD-powered race cars and trucks will continue to take checkered flags on various circuits, future generations of extreme-vehicle enthusiasts will be offered the opportunity to realize their dreams of ultimate Toyota rides on dirt and pavement. Stay tuned for more down the road.